Catching a big shark is exhaustingly fun. 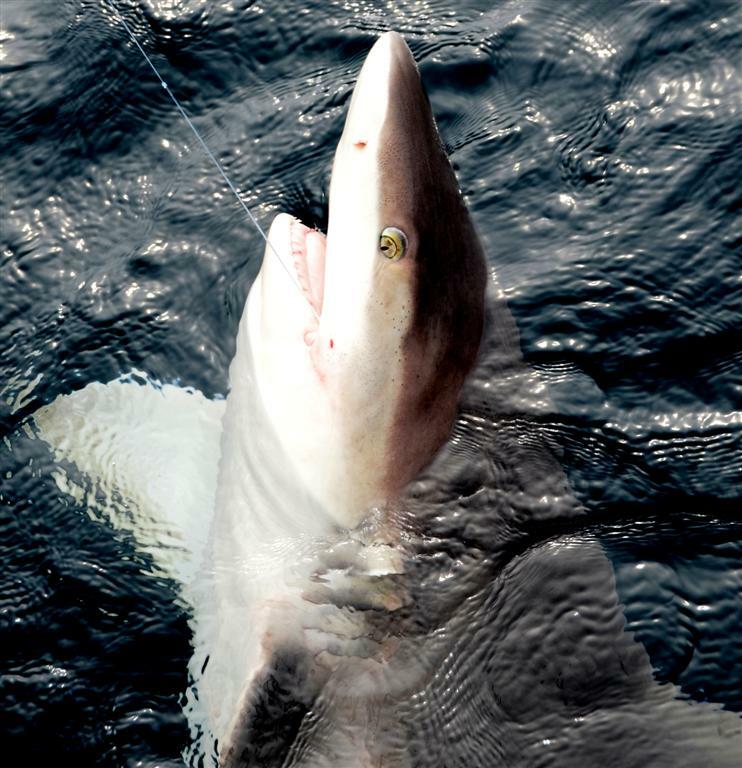 Hooking into a Shark while deep sea fishing in Orange Beach is more common than you can imagine. On almost every 6 hour trip or longer, someone gets a bite. Since we use light tackle, we usually cut the line because these big sharks tear up our reels. Since we know a shark is down there, we switch gears and put bait down that is tied to our big reels. These big reels are designed to fight big fish and can handle the stress of the fight. So don’t panic if you hook a shark. We will give you the right tools to get the job done. Our half day and full day charters fish over artificial reefs that hold a lot of big sharks during certain times of the year. While we are fishing for other species like Red Snapper, our guests are often reeling one in when all of a sudden, their fishing line goes tight and heads in a totally different direction. It usually means a big Shark has taken your fish. Sometimes you get lucky and your hook ends up just right in the corner of the sharks mouth and then it is game on for the lucky angler. If the shark cuts your line and you feel like trying your luck, we will put a shark rig down with a piece of bait. Usually it does not take long before you are shark fishing. 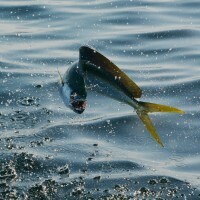 In reality, shark fishing is can be one of the most adrenaline pumping fishing trips one can have. The most common sharks of any size caught in the salt water off Alabama are the Reef Shark, Lemon Shark, Black Tip, Spinner and the Bull Shark. The best eating shark out there is the Mako Shark, but they are very dangerous to put on the boat. I am going to list below the ones that we commonly catch. Black Tip Sharks are caught just off the beaches of Alabama usually late in the evening. They weigh 60 to 120 pounds on average. 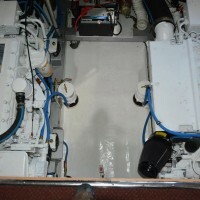 We ease out to our honey hole and put out the lines and drift. We have some good success during the hot summer days. 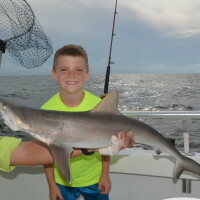 Spinner Sharks are caught just off the gulf shores like the Black Tip Sharks. The Spinner Sharks are amazing to watch when hooked. They jump straight up out of the water spinning around faster than the eye can see. They are very aggressive spinners. They give a lot of entertainment and excitement when Bull Sharks are one of the most feared predators of the sea. They are very common off the beaches of Gulf Shores and Orange Beach. We have caught our share of these monsters. They weigh anywhere from 100 pounds up to over 500 pounds. I would say the average one we caught was about 350 pounds. 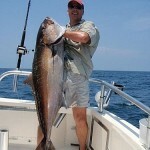 We catch most of our bulls offshore on reef fishing trips. The Bull Shark was the culprit that bit my friend Chuck Anderson’s arm off while swimming at day break in about 4 feet of water off Gulf Shores in about 2001. Reef Sharks are a lot of fun to fight. They are similar in size to the Black Tips and Spinner Sharks. 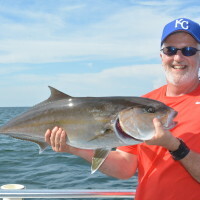 They are often caught more offshore on artificial reefs. They are also a lot of fun to catch. Their weight is averaging about 60 to 100 pounds. Some weigh 120 plus. 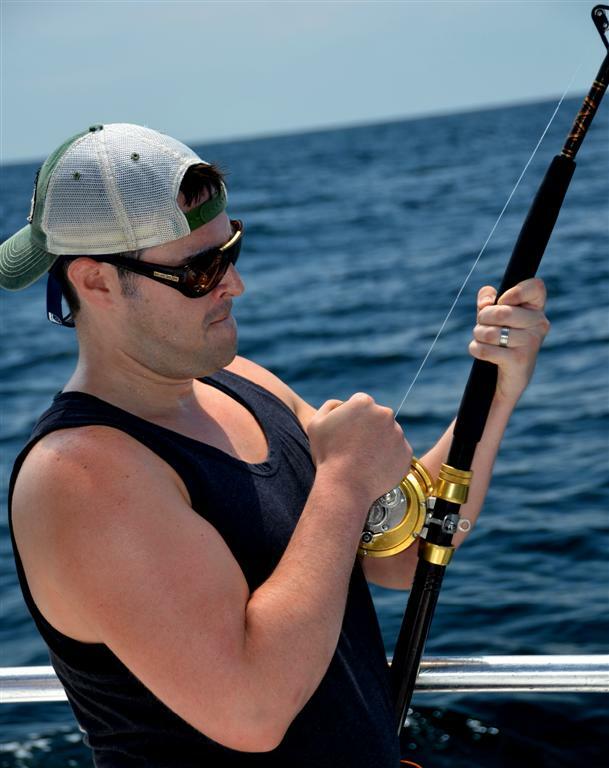 As with any fishing, there comes responsibility and conservation. In the years, we have caught and harvested sharks for customers. We have seen a decrease in the number of sharks in the past years and we know that overfishing by commercial fishermen has taken its toll. We want our shark fishery to be viable so everyone can enjoy catching one. We found that many sharks were only killed and discarded. 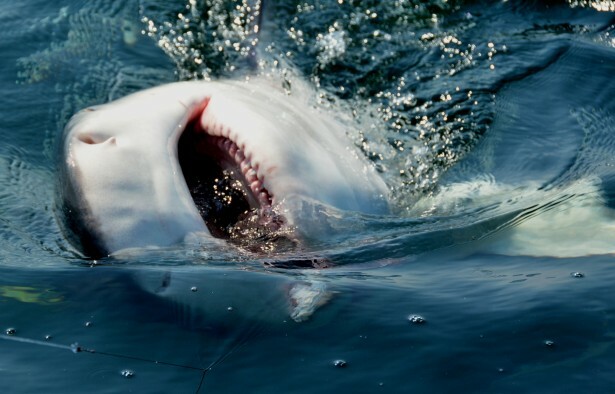 Except for the Mako which is a fine eating fish; most of the sharks we catch emit urea through their skin causing the shark to smell and taste like ammonia. 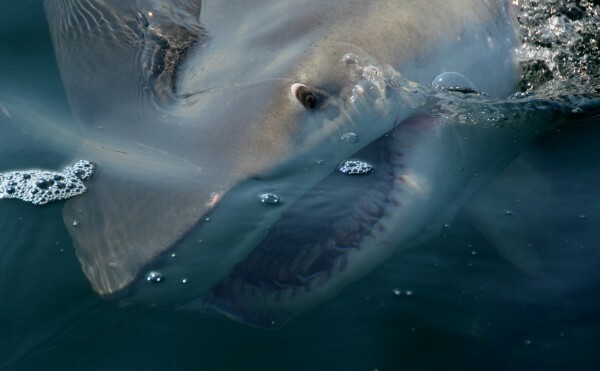 Sometimes, big Sharks will stick their head out of the water and smile at you. Distraction Charters releases all sharks to be caught again another day. The best Shark trips are usually are half day in length. Sometimes big bull sharks come to the surface gnashing their teeth.